Still from The Hungry Wolf, MGM, 1942. 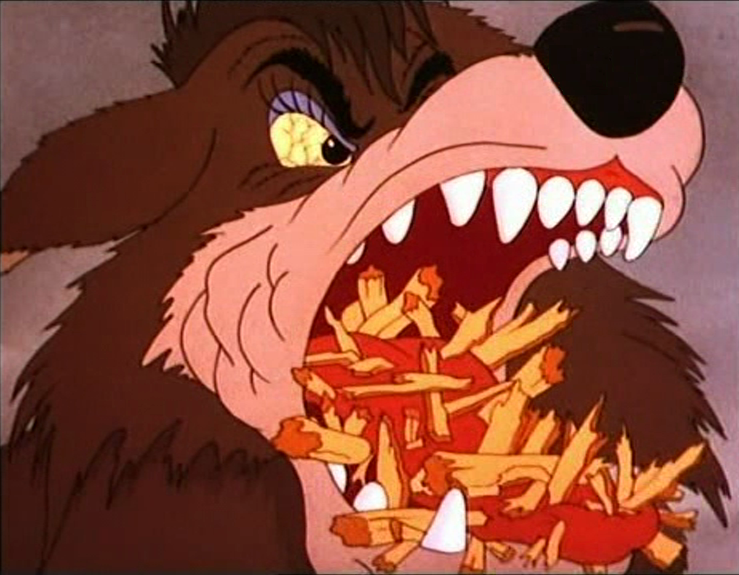 To “wolf down” means to eat like a wolf, or quickly and in large chunks without chewing well. The phrase is most often used colloquially.